Print each unique value for specified numeric or character fields and how many times it occurs in a separate list of the data set. Simple or tailored reports can be produced. The values printed can be limited to value count that meets specified criteria. From 1 to 10 ON fields can be specified if the resulting list data set line length does not exceed the limit specified by the WIDTH operand or 8192 bytes. All ON fields are used to determine whether a record contains a unique value or not. 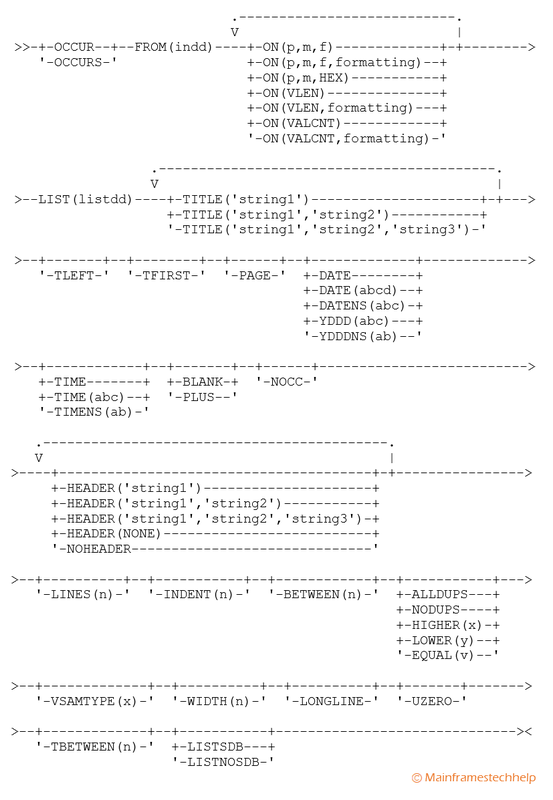 Each title string can consist up to three individual strings. The maximum length of each title string can be 50 characters. Limits the values to be printed to those occurrences meet the given criteria. x, y, and v must be specified. n or +n where n can be 1 to 15 decimal digits. n can be 0 to 50. Uses SDB for the list data set (overrides installation value SDBMSG=NO). 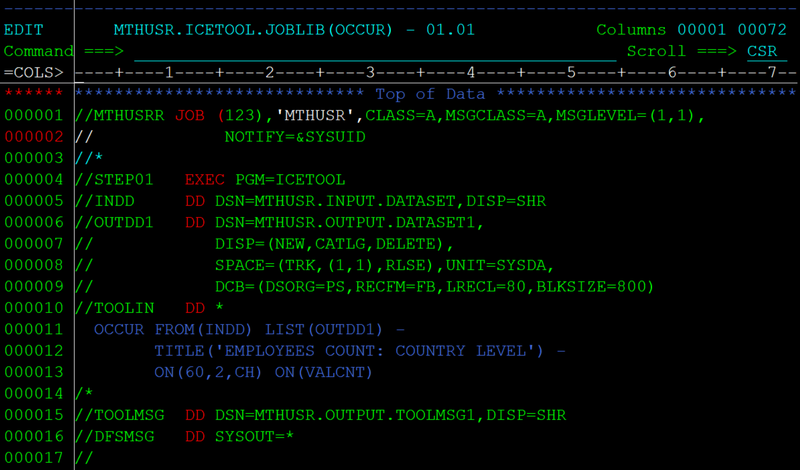 Specifies it does not use SDB for the list data set (overrides installation value SDBMSG=YES). Below example to display the occurrences of the employees based on the country level(from 60th column of length 2 characters). OUTDD1	- Specifies the ddname for output dataset. 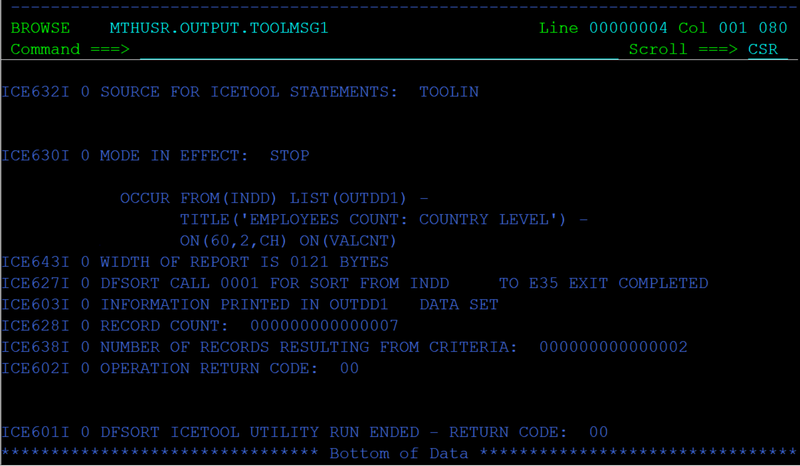 ON(60,2,CH) ON(VALCNT)	-	Writes the employee record occurrences to the OUTDD1 based on the selection criteria which is from 60th position of length 2.